← Who Were The Vandals? A British publication called the Art Newspaper annually publishes rankings of the world’s most visited museums, based on attendance figures. Publicizing the throngs of visitors is a little like someone telling a first date that he’s broke and has a violent temper. Why publicize your least attractive trait? I seriously doubt that anyone chooses to go to an art museum based on the likelihood of getting jostled by German tourists. Once the palace of Louis XIV, it became a museum in 1793. This massive building displays over 35,000 works of art and houses many, many more. In addition to European paintings, there are Near Eastern antiquities, Greek, Etruscan, and Roman antiquities — well, a lot of just about anything that is considered art. 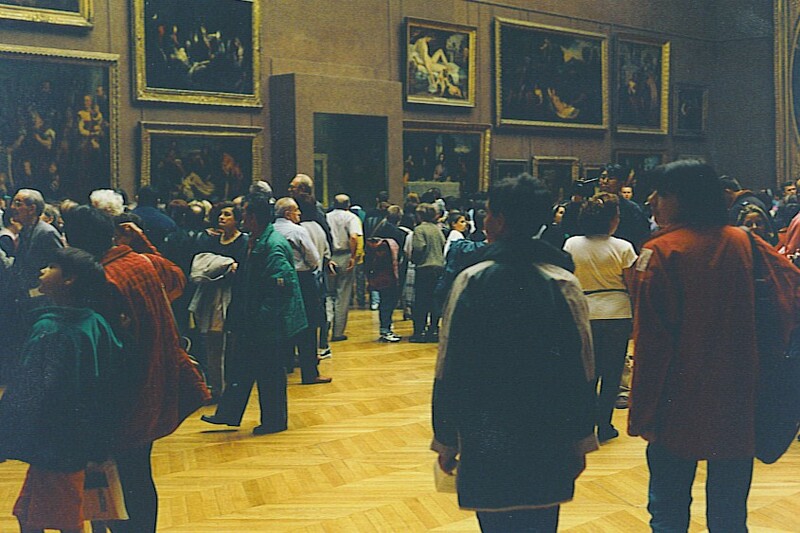 It is not only the most visited, it is arguably the most famous museum in the world — if not necessarily the best. Visitor Info: Closed Tuesdays. Admission is €9 for the permanent collections; €13 for permanent collections and temporary exhibitions. In the past, admission has been free on Bastille Day (July 14), but I’m not sure that’s still the case. Star Attractions: Mona Lisa, Venus de Milo, Winged Victory of Samothrace, Michelangelo’s Slaves. Masterpieces of painting are on display elsewhere in London, so this is not what we often think of as an art museum, with gallery after gallery of canvas in ornate gilt frames. The museum opened in 1759 when the British Empire sprawled across the globe, so loot from around the world was brought here. Some countries are trying to get their treasures back, but in the meantime — they’re in the British Museum. Visitor Info: Open every day. Admission is free, except for some special exhibitions. Star Attractions: The Rosetta Stone, the Elgin Marbles (sculptures from the Parthenon), the Magna Carta. A relative newcomer among the world’s great museums, it opened in the early 1940s, thanks to the donated collection of financier Andrew Mellon and others. The National Gallery is located on the Mall, at 4th and Constitution. A second wing, the East Building, opened in 1978. Visitor Info: Open daily; admission is free. Star Attractions: Ginevra de Benci (Leonardo da Vinci), Woman Holding a Balance (Vermeer), Self-Portrait (Vincent Van Gogh). This branch of the Tate was created in 2000, residing in what was an abandoned power station on the Southwark side of the Thames. The original Tate, now called Tate Britain, was named for its principal benefactor, Sir Henry Tate. (He got stinking rich by patenting a method to make sugar into cubes.) The collection outgrew the building, so Tate Britain now has only British art; Tate Modern exhibits international modern art. Visitor Info: Open daily; admission is free except for major exhibitions. A ferry runs between the Tate Modern and Tate Britain — cost for the boat ride is £5. Star Attractions: Water-Lilies (Claude Monet), The Three Dancers (Pablo Picasso), The Kiss (Rodin). American tycoons got a relatively late start in acquiring art — Europeans had been at it for hundreds of years before Americans jumped into the market. The Yanks were able to make some fine purchases, though, and a lot of them eventually wound up here. The museum opened in 1872, but moved to its current Central Park location in 1880. Visitor Info: Closed Mondays, except holiday Mondays. Admission: $20 for adults; children under 12 free. Star Attractions: Aristotle With A Bust of Homer (Rembrandt), The Musicians (Caravaggio), Washington Crossing The Delaware (Emanuel Leutze), Juan de Pareja (Velázquez). In spite of my earlier grumbles about the crowds, I encourage you to visit an art museum soon. With luck, maybe you’ll be there on a slow day. This entry was posted in Art and tagged British Museum, Caravaggio, London, Metropolitan Museum of Art, Paris. Bookmark the permalink. I can’t believe Minnesota’s SPAM Museum didn’t make the list. Well, as I said, the list is really just art museums. As you know, Spam is only considered an art form in Hawaii.